Take the stairs down to Sunken Mall’s basement. 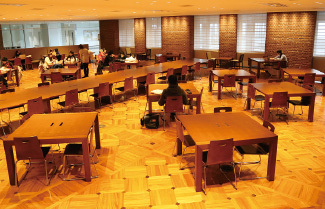 Starting from April 2013, all undergraduate students of humanities and social science majors are concentrated in Imadegawa Campus. 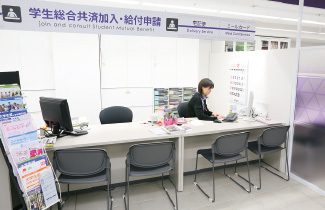 Imadegawa Campus has 8 undergraduate faculties and 10 graduate schools, while Kyotanabe Campus has 6 undergraduate faculties and 6 graduate schools. 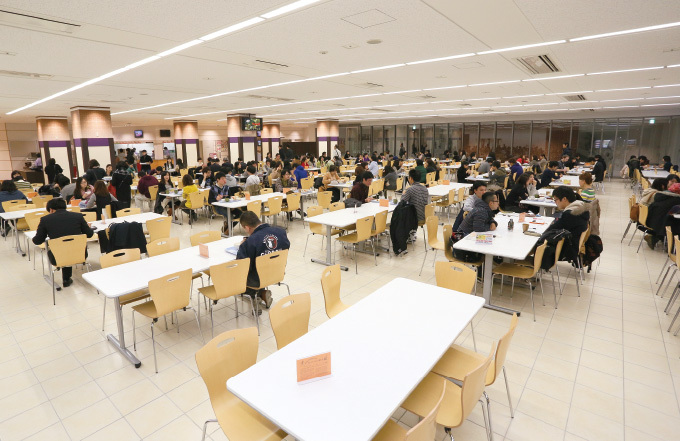 Because of this new structure, Imadegawa Campus now holds around 20,000 students. 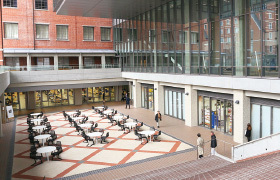 Thus, Doshisha Co-op also moved some of its stores, which were located in three places, to Imadegawa Campus. 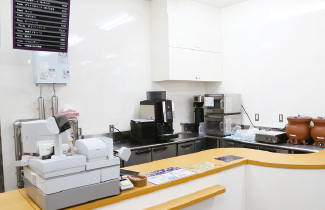 Dining hall, convenience store, housing agency and co-op members center are now located in the basement of Ryoshinkan called Sunken Mall, occupying an area about twice larger as before. 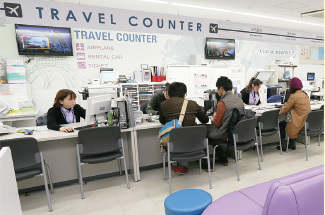 In addition, we established new facilities, i.e. 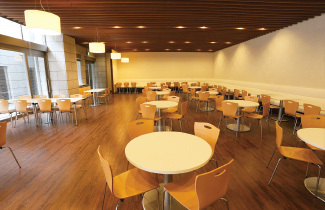 dining hall (around 480 seats), lounge and bakery café in Ryoshinkan, as well as a convenience store in Shikokan (Shikokan is a symbol of international principle, one of Doshisha University’s teaching philosophy). 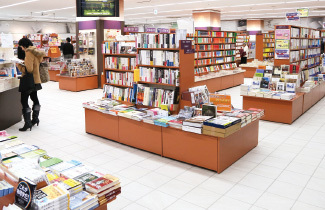 Sunken Mall is directly connected to north exit of Subway Karasuma Line Imadegawa Station, which makes it convenient to commute even in rainy days. 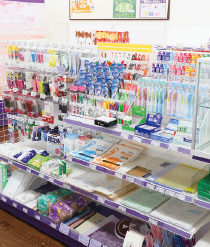 We are aiming at creating an atmosphere where people can enjoy a moment of rest at our stores in Sunken Mall inside Doshisha University, which coexists with the community. 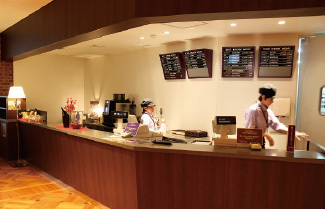 Offers bread, drink, soup and snacks. Purple, one of the two school colors, looks attractive.